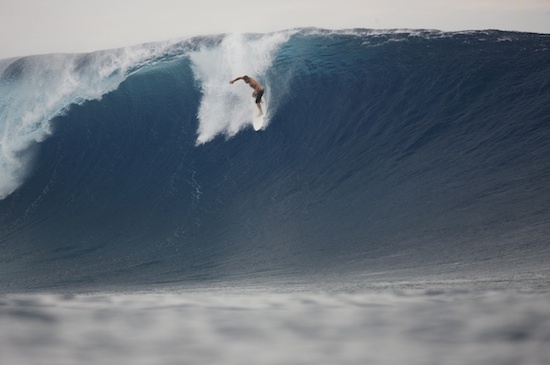 Big Day, Small Board: Erik "Frog" Nelsen dropping in at Cloudbreak, one of the world's iconic waves. On October 9th, Malibu's famous Surfrider beach surfing areas was dedicated as the world's first World Surfing Reserve - an ambitious effort by a small NGO called Save the Waves. The idea of protecting surfing areas and providing our iconic surfing spots around the globe protected status is something that is shared my many surfers as well as other NGO's that protect surf spots including the Surfrider Foundation USA, Europe, Japan, Argentina, Canada, WildCoast, Surfers Against Sewage, and others. Here's a recent presentation I have on the topic of surf protection, the role of world surfing reserves in protecting surfing areas and some examples of surf protection efforts. Surf Protection & World Surfing Reserves from Surfrider Foundation on Vimeo. You can view and/or download the presentation here (Keynote). A critique of Malibu's world surfing reserve designation here. An essay by Neil Lazarow entitled, "What is a Surfing Reserve and why should surfers care about them?"